LPS Scotland is one of the three Scottish deposit protection schemes designed to ensure that tenants’ money is protected. While landlords are indeed required to place tenants’ deposits into an available deposit protection scheme such as LPS, they are certainly not obligated to fix the tenant’s possessions or help them open doors! 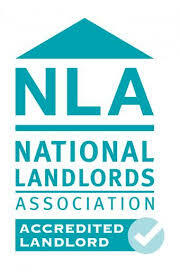 So what exactly are universal landlord responsibilities? And what constitutes a real emergency? For one thing, landlords are required to ensure the safety of gas and electrical appliances installed in the home. If you smell gas, an emergency call to your landlord is probably a wise move. But of course, remember to call the National Grid’s emergency number first. Landlords are also responsible for repairs to the structure and exterior of the property, which means if you find a leak, you’re absolutely within your right to call your landlord – day or night. However, in certain “emergency” circumstances tenants are advised to consider whether this is a problem they can solve themselves, whether they are at fault, or whether the issue can wait. For example, should you find mould, telling your landlord is advised but wait until normal business hours and consider having a spring clean. Additionally, if your smoke detector doesn’t appear to be working, ensure that you’ve done everything you can before calling. This includes changing the batteries – and it is not up to the landlord to tell you where to buy them!